Transportation for the runDisney event will be provided from the Walt Disney Resorts, including Shades of Green Resort and the Walt Disney World Swan & Dolphin Resort. For the runDisney Health & Fitness Expo at the ESPN Wide World of Sports Complex, transportation will be provided back to host resorts up to 30 minutes after the Expo closes. For the Kids Races, guests should use the transportation to the Expo. 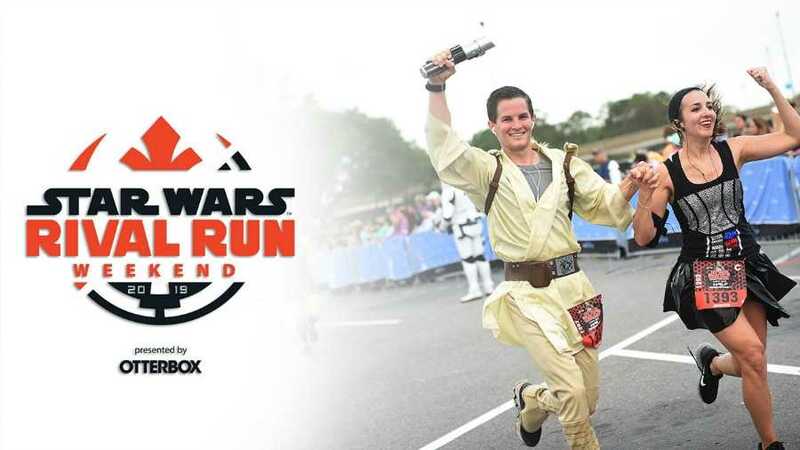 The Star Wars Rival Run 5K begins and ends at Epcot, with buses running from 3:30am to 5:00pm and 6:30am to 8:30am. Participants are advised to board a bus before 4:00am in order to ensure they arrive in time for the race. Participants using their own vehicles should arrive at Epcot before 4:30am. No monorail service will be available. The Star Wars Rival Run 10K begins at the Magic Kingdom parking lot and ends at Epcot. Buses will run to the event from 3:30am to 5:00am and from the event 6:00am to 9:30am, with participants advised to board a bus no later than 4:00am. Participants using their own vehicles should park at Epcot and take a shuttle to the Magic Kingdom parking lot. Shuttles between the start and finish line will run 3:30am to 6:30am. Guests staying at Disney’s Grand Floridan Resort & Spa, Disney’s Polynesian Village Resort, and Shades of Green may walk to the starting line. Again, no monorail service will be available. The Star Wars Half Marathon begins at the Magic Kingdom parking lot and ends at Epcot. Buses are schedule to run to the starting line from 3:00am to 5:00am and from the finish line from 6:00am to 11:00am. Participants should plan to board a bus no later than 3:30am. Guests driving their own vehicle should arrive arrive at the Epcot parking lot no later than 3:30am and take the shuttle to the starting line. Shuttles will run 3:00am to 6:30am. Participants staying at the Grand Floridan, Polynesian, and Shades of green can walk to the starting line. Monorail service will not be available. Star Wars Rival Run Weekend is April 4th through April 7th.